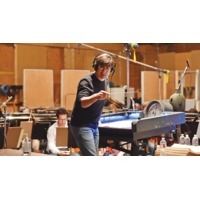 Thomas Montgomery Newman (born October 20, 1955) is an American composer and conductor, best known for his many film scores. He is one of the most respected and recognized composers for film and has scored over fifty feature films in a career which spans nearly three decades. Newman has received a total of ten Academy Award nominations, although as of 2010, he has yet to win the award. He has also won a BAFTA, two Grammys, and has been nominated for a Golden Globe. Newman was honored with the Richard Kirk award at the 2000 BMI Film and TV Awards. The award is given annually to a composer who has made significant contributions to film and television music.